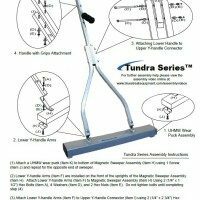 The Tundra is a compact, light weight, go anywhere, handheld magnet! A Lot More in a Handheld! The Tundra is designed to be “a bit more” everything compared to most handhelds. A bit more power, a bit more ruggedness, a bit more ergonomic. Perfect for homeowners or work crews who want to eliminate the hazards of harmful debris that can cause flat tires or injuries. Quickly pick up ferrous metal debris such as nails, screws, metal shavings and bottle caps. Reach areas a wheeled sweeper can not go. I picked up a margarine container full in ten minutes. "I spent two hours picking up nails after we had just put a new roof on our house and then later got a Bluestreak sweeper and discovered just how many nails I had missed. I picked up a margarine container full in ten minutes.."
The Tundra really is a lot more than most hand held units, not just a bit more. 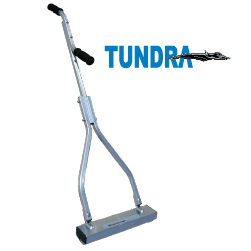 Designed with the pickup power of the Scape series wheeled push broom, but designed to go places a wheeled sweeper can’t go easily such as behind bushes, under decks, around flowers beds, around stairs, machines , etc. It was designed as a real tool that would last so we gave it a sturdy “Y shaped” handle, one of the most often overlooked features, and super durable grips with the ability for you to choose how you want to use it, either single or double handed. We found during testing that some preferred single handed, some people preferred double handed, and the same people even switched depending on where and how they were using it, so we gave the user both options. The Tundra is quite comfortable being used one handed as well as two handed. When used one handed the user’s one hand grips the lower grip and their forearm rests against the part of the handle that extends up to the upper grip. It is quite comfortable and easy to use in this manner. The other option we gave users who didn’t want to support or hold up any weight, was to simply drag the unit. We knew we were giving this unit extra power, and therefore the weight was going to be bit higher than most handhelds so we wanted to give the operator a number of choices for how they could use the Tundra. Therefore we wanted the operator to be able to simply drag the unit, so we put UHMW wear pads on the bottom. So you can drag this unit around and not worry about wearing anything out at all!! 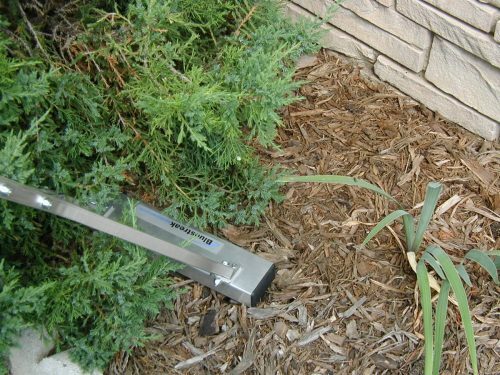 Hugs the ground to pick up the smallest metal debris embedded in lawns or hidden in gravel. All magnets are permanently charged. Double foam grip design for ultra comfortable use either single handed or double handed. Lightweight easy to handle and lift. Sturdy "Y" handle design for long lasting durability. Hugs the ground to pick up even the smallest metal debris embedded in lawns or hidden in gravel. No replacement parts needed, magnets are permanently charged. 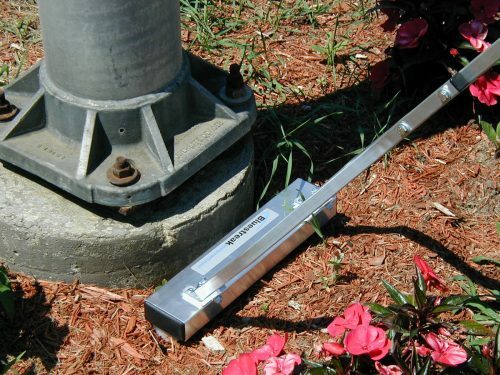 Durable and long lasting design made from all weather aluminum housing that won’t rust or deteriorate in wet, damp conditions. I spent two hours picking up nails after we had just put a new roof on our house and then later got a Bluestreak sweeper and discovered just how many nails I had missed. I picked up a margarine container full in ten minutes. The Tundra sweeper is wonderful. The Tundra sweeper is wonderful. We were hit by a tornado on May 1st with the rebuild and construction there were nails all over the place. Well, our kids always play barefoot, as well as the dogs so we needed something besides picking up by hand. Worked great and we gave it to our contractor as a gift when he was done. He actually had about 5 laborers on hands and knees when the Fedex truck arrived and I told him to stop and look what I got. Anyhow, thanks again. I have nothing but praise for your product. 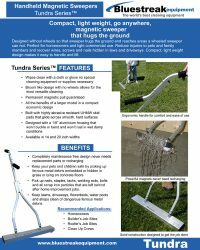 I used the Tundra magnetic sweeper last week to pick up nails after a roofing job. I have nothing but praise for your product. It was easy to order, arrived quickly, reasonably priced, very effective in cleaning up the loose nails in grass and the gravel driveway, and easy to use. I commend those who designed and manufactured it. I was surprised by the amount of nails and screws that the sweeper picked up. The yard looked very clean when the roofers left, but I thought using a Tundra sweeper was a good idea since we have a young child and a dog. I feel more confident knowing our yard is a safer place.